it’s hard to believe May has arrived! Students have been doing such a great job preparing for their graduation ceremony. . It’s going to be such a special evening for all. This week we will be playing tic tac toe. It is a great way to work on problem solving and also helps practice writing the letters X and O. Please try to play a few games with your child at home. We will be continuing to learn about the season of spring. Please encourage your children to stop and watch his plants come up during this time of year as we have been learning about planting seeds and how they grow. We also have been doing a lot of reviewing during circle time so please work on your children identifying shapes, numbers one through five as well as colors. Most of our students are doing great with review but a couple have been having a hard time retaining so please encourage at home as well. We’ll review positional words, opposites and rhyming. 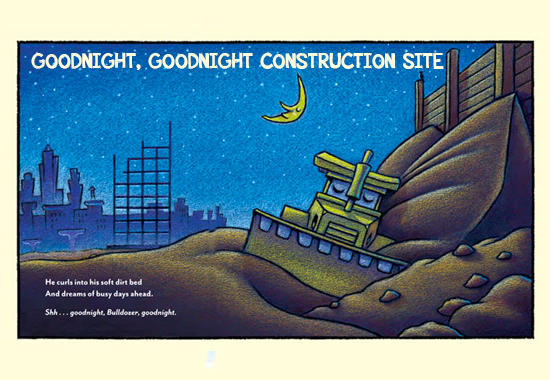 Look for our “summer rhymes” booklet! The children are working hard on their alphabet and number review books! We’ll read Alphabet Under Construction by Denise Fleming and the children will construct their names using colorful paper strips, circles and semicircles. I put on my rain boots. I put on my raincoat just like that! I run out to play. The sun peeks out, and the rain goes away! On the playground, with our water table, dice and toy insects, frogs, fish and turtles we’ll practice number recognition and counting. To work on scissor skills the children will practice cutting paper, play dough, cotton balls, grass and cooked pasta! Pre-K 3 is having a terrific time at school with our friends! We finished the letter X – look for our xylophones and x-rays!! We continue to practice our colors, shapes, numbers, days of the week, seasons, and months of the year. We are having fun singing “Five Speckled Frogs” with our 4 yr. old friends, Mrs. Leeds and Mrs. Reva. We celebrated Earth Day and made beautiful sunflowers. As a school project, we started a seed jar with our friends in the 4 yr. old class. We continue to work on sharing, taking turns, our manners, and being kind and considerate. Next week, look for our letter Y and Z projects! We have been going outside and having so much fun on the playground! School is a great place to be – Remember to wear your smile to school!!! We have been learning about spring creatures and spring life around us. 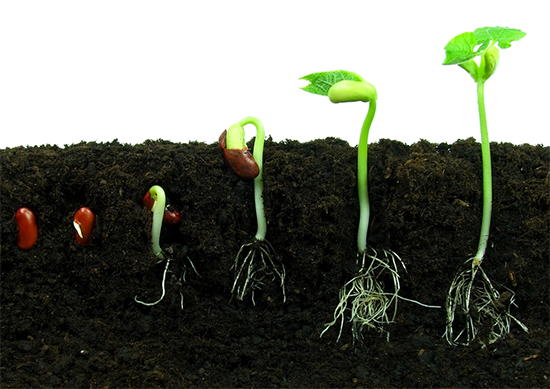 This week we will discussing what happens when we plant seeds. We are also continuing to review our alphabet and numbers so please do the same at home if you have time. We will create a swan out of our own hand prints with paint in the art room! 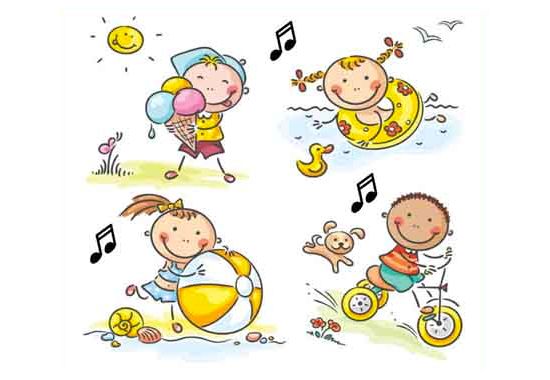 -please ask your children to sing the letter of the week song they have been having a ton of fun reviewing them during circle time! We’ll start working on our alphabet and number ( 1-20 ) review books. We’ll complete them by the end of May and send them home for summertime review. 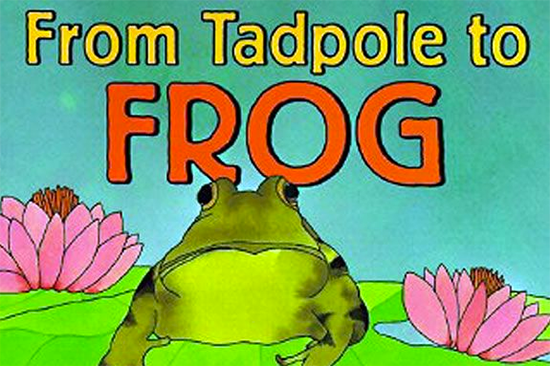 We’ll read from Tadpole to Frog by Wendy Pieffer and do puzzles and booklets showing the changes/ stages as the tadpoles grow. To work on our math skills, we’ll do several circle time Spring math activities ( number recognition, counting and sorting ): flower petal math, how many raindrops?? and butterfly/ flower number line with dice. We’ll create rain clouds ( jar, water, shaving cream and blue food coloring ) and review the water cycle. Look for our dandelions and sunflowers! We finished with the letter W – we had so much fun making our whale project and our wiggle worm picture! We continue to practice our colors, shapes, and numbers. We are working on the number 9. We enjoyed making an edible snack with our friends in pre-k 4. We snacked on an edible zoo made of pretzels and animal crackers! We continue to work on sharing, taking turns, our manners, and being kind to our friends. Next week, we will start the letters X and Y, look for our x-rays and yarn projects. Outside play is fun, we enjoy having a good time with our friends. Spring is here and school is an exciting place to be! This week we’ll finish the alphabet (X,Y and Z).Look for our X-ray hands, yaks and zoos. We’ll create and snack on edible zoos ( stick pretzels and animal crackers!). We’ll use lengths of yellow yarn ( inch, foot and yard) to measure objects in school. 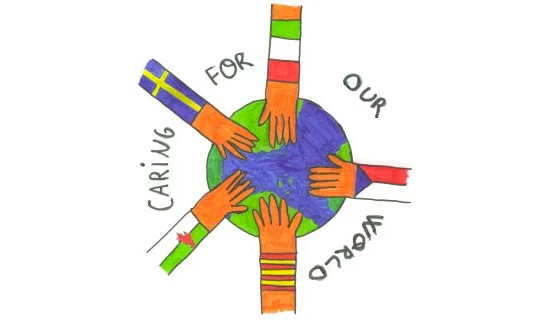 We’ll celebrate Earth Day (4/22) with a lesson/ activity on taking good care of our environment. We’ll talk about pollution, no littering, recycling and protecting our world and animal habitats. 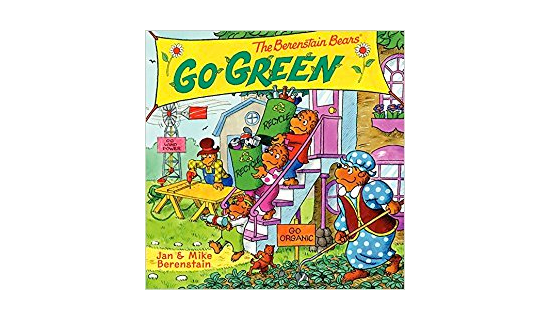 We’ll read The Berestain Bears Go Green by Jan Berenstain. We’ll read Gail Gibbons From Seed to Plant and start our class seed jar ( mason jar, paper towels and green bean seeds ). You’ll see pictures of our growing plants! To practice number recognition and counting we’ll make thumbprint caterpillars. Hope everyone has had a wonderful spring break! Before the break, we finished the letter V – the projects were so cute! This week, we will begin the letter W – look for our letter W projects and worksheets. We will be working on whales and worms! We continue to practice our colors, shapes, and numbers. We will begin the number 9. At circle time, we review the days of the week, months of the year, the seasons, and what we should wear in the spring and summer, and recite our poems. Spring is here – it is an exciting time to be in school – so much is going on! Playground time has finally come!!! We hope that everyone had a great Spring Break and enjoyed the beautiful weather, let’s hope it continues. We have lots of lessons planned this month that will get us outside learning. Welcome back!!! Hope everyone had a nice spring break and enjoyed the beautiful weather!!! Earth day “dirt” cups for snack – Yum!! We want to welcome everybody back from spring break! For our first week back will be diving into the concepts of the season spring. We will continue to review through the alphabet now that we have completed it. Please see the letter we are working on this week below . Making our own spring frogs! We’ll review letters A-W and finish our letter W projects. 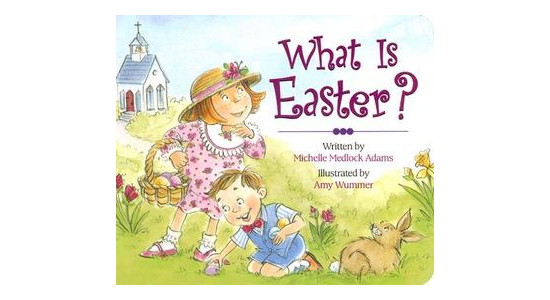 We’ll read What is Easter by Michelle Medlock Adams and Margaret and H. A. Rey’s Happy Easter, Curious George. We’ll use colorful jelly beans for a math counting and sorting activity. We’ll make our own Easter baskets, dye and decorate Easter eggs and have an outdoor egg hunt! On Friday 4/7, we’ll celebrate the season with an Easter craft (chicks) and we’ll make and eat edible bunnies ( Ritz crackers, carrots, strawberries and raisins). Happy Easter and have a wonderful spring break! Pre-K 3 is having a great time at school – school is so exciting! We finished the letter U – our projects turned out so cute!! We continue to practice our colors, shapes, and numbers. We continue to work on the number 8. At circle time, we review the days of the week, months of the year, the seasons, and recite our poems. We continue to practice our manners, sharing, taking turns, and being kind and considerate to our friends. Next week, we will start the letter V – look for our fun projects – vegetables, volcanoes, and vases. Next week, we will have our spring party – we will color Easter eggs and make our own holiday project. Spring is here – it is an exciting time of the school year! Welcome April! 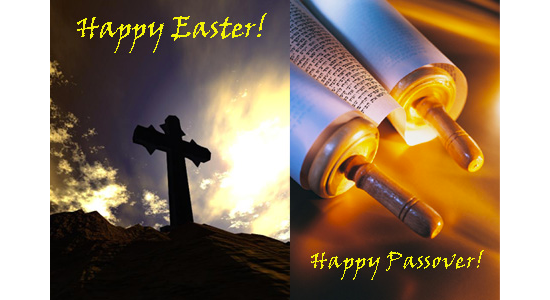 We would like to wish everyone a very Happy Easter/Passover! We are looking for a fun week especially with our Spring party with all of our friends! 1 Little Bunny, playing in the sun, it hopped away and now there are none. Wednesday is our Spring party!! Looking forward to a fun morning!!! Enjoy spring break week with your families!!!!! We have officially completed the alphabet! We will now start our reviewing of everything we have done through the year. The past two weeks we have begun working with identifying letters and numbers not just saying them. Going forward you will see a letter each week we are reviewing. Math : we have just begun Learning to identify our numbers one through 10 and not just count them.we created numbers on a stick last week and we will be playing games to help them with this concept.